With winter being over, many couples will start looking towards their spring weddings. It’s a popular time of the year to get hitched, as the weather is warming up, the trees are full again, and flowers are in full bloom. And with a new season always comes fresh new colors! 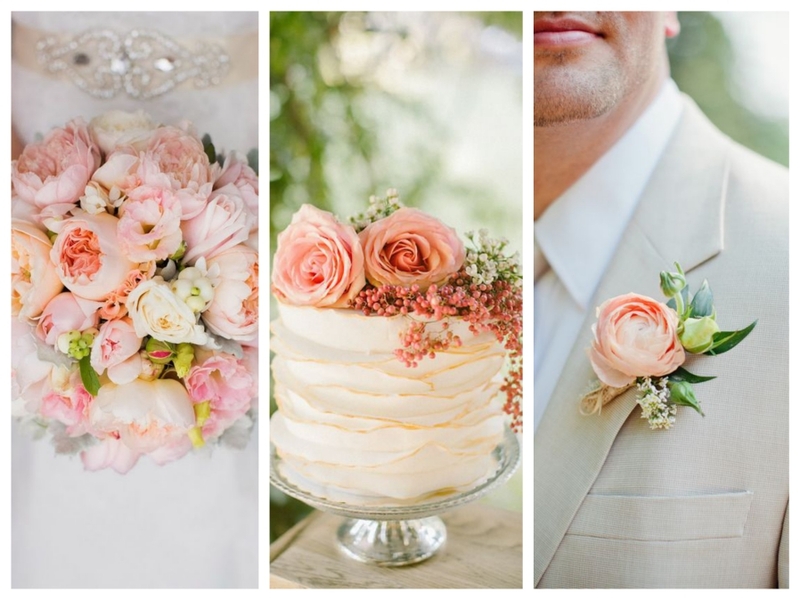 If you’re planning your wedding from March through May, here are some gorgeous spring wedding color palette ideas to give your special day a seasonal vibe. 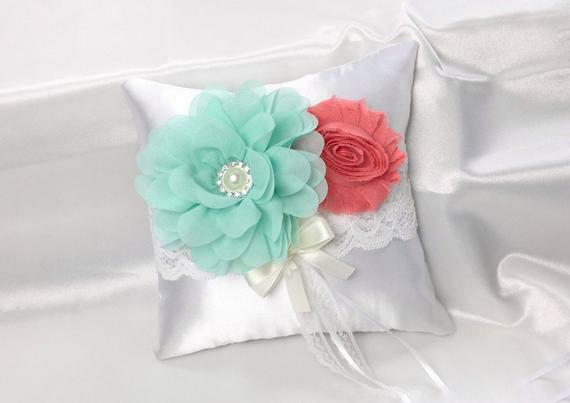 This is a wonderful trio of colors to be spread throughout your wedding decor. Orange and pink offer many wonderful hues to choose from. Spring represents rebirth after all those cold winter months. Similarly, the color green is also known for growth and the color of new life. 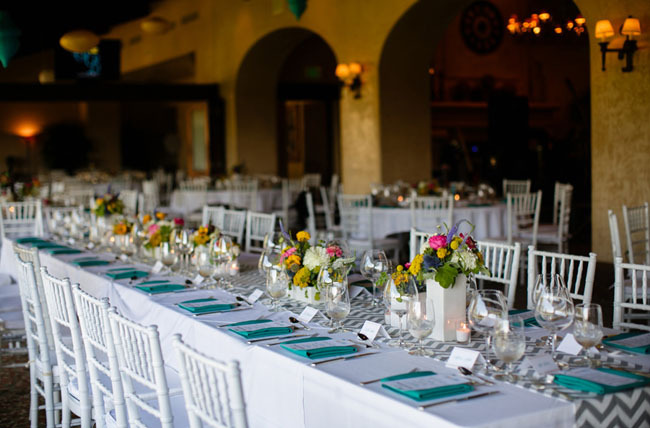 There are plenty of gorgeous hues of green to spread throughout your wedding decor, decorations, and outfits. During the winter you’ll see many darker shades of red that give a warm, cozy feeling. 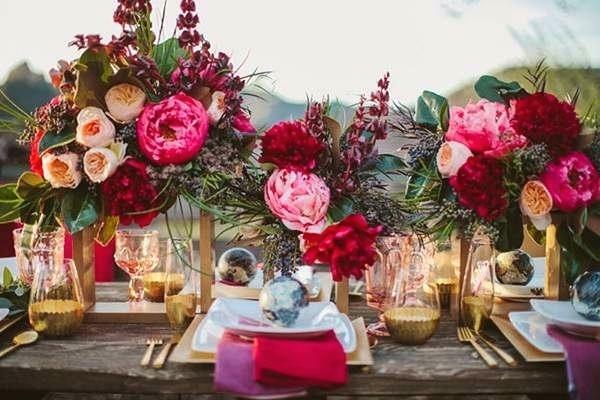 But when it comes to a spring wedding color palette, you’ll see plenty of brighter red hues that are often complimented with pink and white. Purple is a color that is very popular during the spring, but it needs to be done properly. One of our favorite ways of using the various hues and shades of purple is on the bridesmaids dresses. 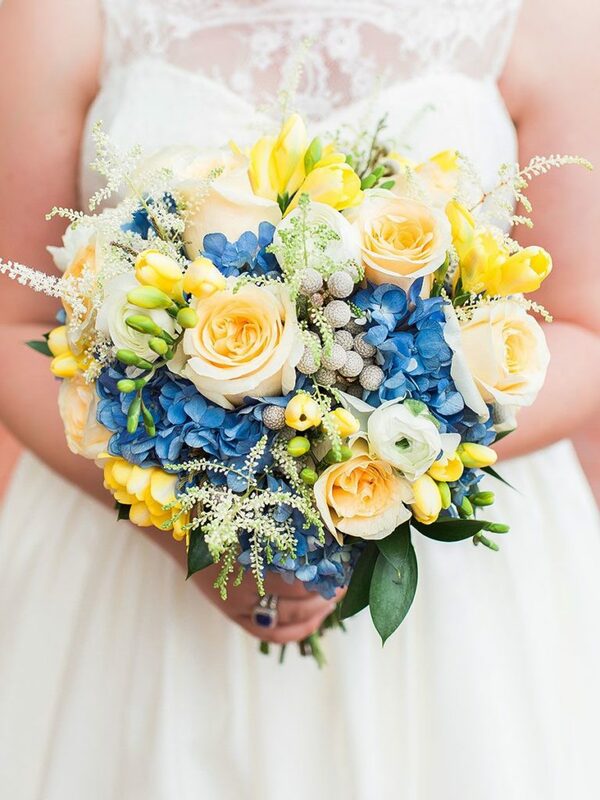 We don’t see this too often, but when a couple uses blue and yellow in their spring wedding color palette, their decorations, flowers, and overall vibe just POP! Go for a softer blue mixed with canary yellow. You can thank us later! A cool, refreshing, and inviting spring wedding color palette that we really love is mint and coral. This color combination gives off a cheerful vibe for your wedding guests, and can look stunning mixed in with your bridesmaids dresses and groomsmen attire. For a nice touch, use mint in some of your signature wedding drinks. If you know anything about spring, it’s that pastel colors are everywhere during this time of year. A muted peach is a color that looks gorgeous sprinkled in throughout your decorations, flowers, and attire. 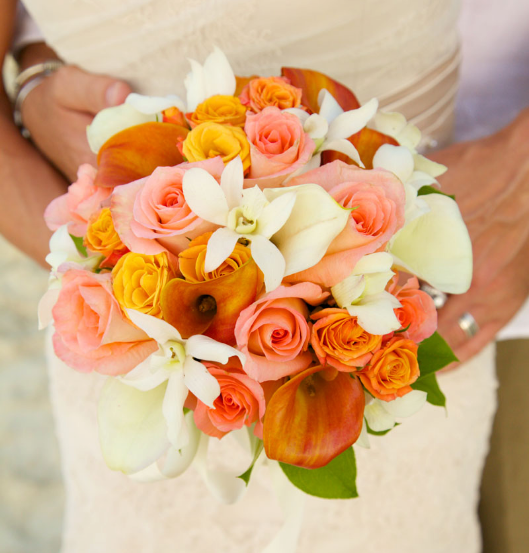 Add some peach in your bouquet, and watch how it adds a subtle pop. Hopefully this article has given you some great ideas for your spring wedding planning. Be sure to check out plenty of magazines and articles online for even more inspiration for weddings during this stunning time of year!